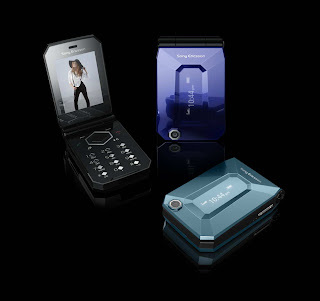 I don't know how to pronounce Sony Ericsson's new mobile phone, the Jalou but the name itself reminds me of that Pussycat Dolls song that was used in Slumdog Millionaire--Jai-ho, was it? Hmm, I smell an advert coming with that song. Anyways, the Sony Ericsson Jalou is fashionable enough to make it to any Pussycat Doll wannabe's purse. According to Sony Ericsson, the Jalou is smaller than your average lipstick, and the innovative screen can double as your mirror with a touch of a button. The Sony Ericsson Jalou is a flip mobile phone with kinda like a jeweled design. Feature-wise the Jalou has a 3.2 megapixel camera capable of geotagging your photos, 2 inch screen, acclerometer for the Walk Mate application and motion gaming, Bluetooth A2DP, 3G, FM radio, and a MicroSD slot--yes, that's MicroSD and not M2 Card. Not bad for a mobile phone that's small. The Sony Ericsson Jalou mobile phone will be available starting the 4th Quarter of this year.